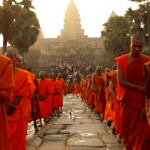 Our carefully tailored Indochina itinerary within 24 days is a great way to visit Indochina in style and in depth. We include both world-famous attractions as well as places that are off the beaten track in our itinerary. Get ready to surround yourself with breathtaking natural landscapes, rich cultures, colorful history, and friendly locals. 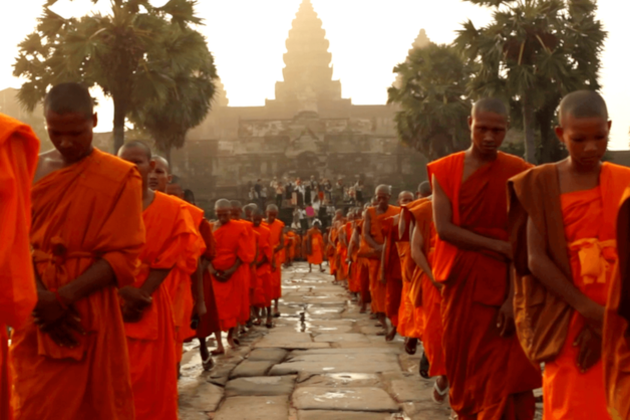 Phnom Penh is the first stop of our Indochina tour. 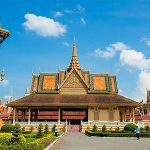 Phnom Penh was heavily affected by decades of war and revolution but manages to rise from the ashes to take its place among the best capitals of Indochina. Upon arrival in the capital city of Phnom Penh, hop onto a cyclo to explore the city in style. You can visit the National Museum to see its historic displays and learn about the country’s intriguing history before heading to Wat Phnom for the stunning sunset views. After breakfast at the hotel, you get the chance to explore the jewel-covered buildings of the Royal Palace, especially the sacred Silver Pagoda, which is famous for its 5000 silver tiled floor. After leaving the Royal Palace, you are taken to the center of the city to visit the Independence monument, which resembles a lotus-shaped stupa. Wat Phnom is also a must-visit temple while you’re in Phnom Penh. In the afternoon, you are reminded about a completely different side of Cambodia when stopping by Toul Sleng genocide museum and Cheung Ek killing field, which provides a deep insight into the tragic time of the Khmer Rouge. After that, you can explore Psar Toul Tompong (Russian market) to interact with locals and learn about Cambodian ways of life. 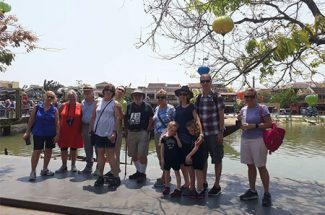 After breakfast, our tour guide and driver take you to the airport for a short flight to Siem Reap. After check-in, the rest of the day is for you to relax. 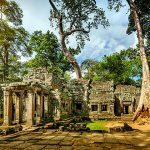 Siem Reap is known as the house of the Angkor Wat Temple complex and the ancient city of Angkor Thom. After having breakfast in the morning, you take a Tuk Tuk tour to visit the South gate of Angkor Thom. Right at the heart of the ancient city, you find Bayon Temple, an impressive structure that is immense in size and overwhelming in feel with 2000 smiling faces carved on 54 towers. You can also stop by the Terrace of Elephant, Leper King, and Phimean Akas to marvel at their interesting designs. In the afternoon, continue your Tuk Tuk tour to visit the renowned Angkor Wat Temple complex and watch the mesmerizing sunset from the Bakheng Hill. You wake up early in the morning to witness the magnificent and wonderful sunrise from the Angkor Wat temple then go back to your hotel for breakfast. 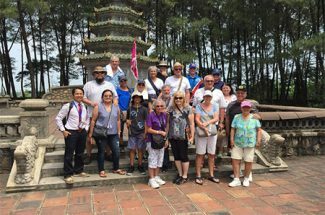 Afterward, our tour guide and driver take you to Banteay Srey Temple (also known as Pink Temple). 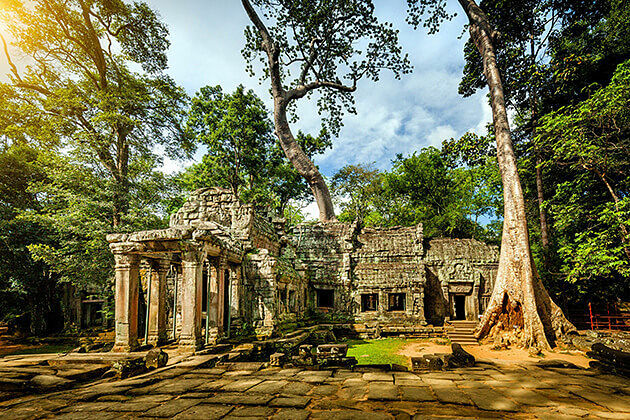 Of all Angkor monuments, this remote temple houses the most exquisite and well-preserved carvings. On the way back, you get to visit Banteay Samre, a small temple that helps you avoid the crowds and offers some interesting back stories. In the afternoon, you stop by Thommanon, Chau Say Teveda, Ta Keo, Ta Promh, Banteay Kdei, and Sras Srang. Overnight in Siem Reap. After breakfast, our tour guide and driver transfer you to the airport for a short flight to Luang Prabang, Laos. Upon arrival, we take you to your hotel for check-in. The rest of the day is at your leisure. Luang Prabang is the heart of Laotian culture. 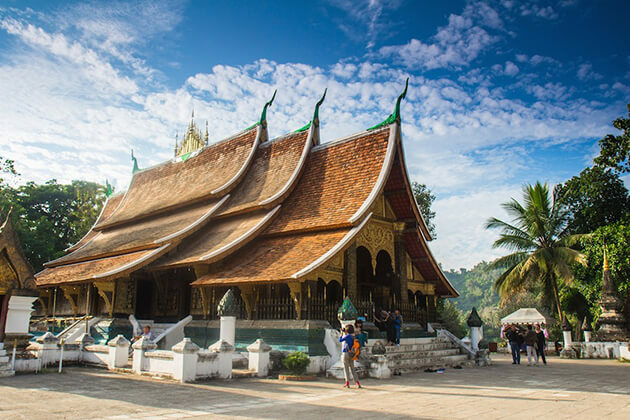 In the morning, we take you to the iconic Wat Xieng Thong, a must-visit temple while you’re in Luang Prabang. The temple complex is ancient and fully represents classic Laotian design with roofs sweep low to the ground and mosaic carvings on exterior walls. 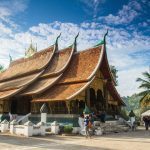 Continue the exploration of Luang Prabang with the visit of the Royal Palace Museum then have lunch in one of the best restaurants in the area. In the afternoon, we drive to the beautiful Kuang Si waterfall on the other side of Luang Prabang. This is a good place to cool off and relax in the turquoise water. You should also stop by the Bear Rescue Center near the entrance to fully experience the abundance of wildlife here. Today, we embark a boat for a cruise up the Mekong, passing the lively rural riverside until we reach the famous Pak Ou Caves at the confluence of the Nam Ou and Mekong rivers. Found in the limestone mountains, the two caves are filled with hundreds of Buddha images that are brought here over centuries by worshippers including former kings. Pak Ou is a popular pilgrimage site for local people and very crowded during Lao New Year in April. We then return to Luang Prabang for lunch. You can enjoy the afternoon as you wish until our guide and driver take you to the airport for flight to Hanoi. Check-in and overnight in Hanoi. Hanoi is the beautiful capital city of Vietnam with a rich culture. Besides its famous historical destinations, Hanoi is well-known for peaceful lakes scattered around the city where you can catch a glimpse of local people doing Tai Chi in the early morning. Tree-line boulevards and buildings in the city have a touch of French architecture. Hanoi is also famous for its mouth-watering dishes and interesting street food cuisine. 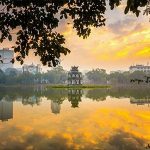 In the early morning, you can take a refreshing morning trip around Hoan Kiem Lake and the Old Quarter – the symbols of Hanoi city and Hanoian when they are peaceful and free from the bustling crowds. There are a lot of local people doing morning exercises around Hoan Kiem Lake. It’s interesting to see how natural people look while practicing such strange exercise like Tai Chi in their own ways. Your special breakfast for the day is Pho – the most famous and popular dish in Vietnam. After treating yourself with a mouth-watering bowl of Pho, you stop by Ho Chi Minh Mausoleum – a large memorial to one of the greatest Vietnamese leaders – President Ho Chi Minh. He led the country to independence and reunification and was loved by all Vietnamese people. The Mausoleum is located at Ba Dinh Square where Ho Chi Minh President read the Declaration of Independence on 2nd Sep 1945. You can take a short walk to the Presidential Palace and House on Stilt. Located near Ho Chi Minh complex, One Pillar Pagoda is a must-visit destination for its one-of-a-kind design and special meaning. Our next stop will be the Temple of Literature – the first university in Vietnam. It was constructed in 1070 to honor high-rank scholars. Nowadays, people come here to wish for a bright academic future, or simply enjoy the ancient architecture. 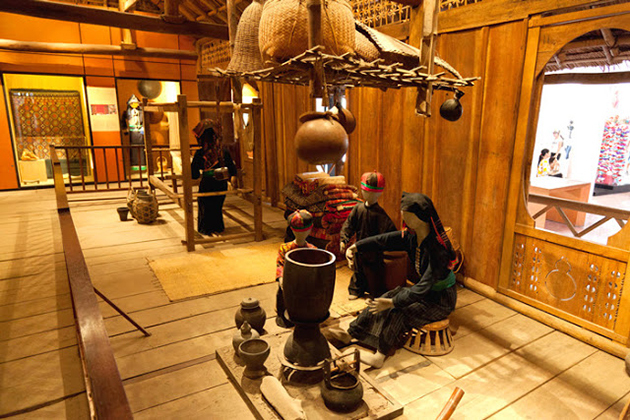 After lunchtime, we continue to visit the Museum of Ethnology, which offers an insight into the 54 different ethnic groups of Vietnam as well as the country’s ethnic diversity. 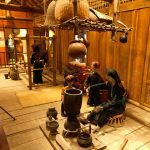 There are also full-scale replicas of Vietnamese minorities’ houses in the vast open ground of the museum, making the visit seems like a trip throughout Vietnam. At the end of the day, you can take a cyclo ride around the old streets of Hanoi to observe the daily life of Hanoian and take exotic photos of the poetic city. A water puppet show will be a great way to end a day exploring the capital city. After breakfast, you take a smooth drive on the new national highway to Sapa, passing beautiful sceneries of Vietnamese countryside along the way. You arrive at your hotel, check-in, and take a short rest. 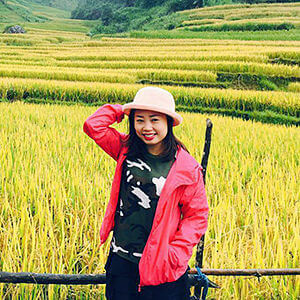 You can explore Sapa town and visit Sapa Stone Church and old streets. From Sapa, we trek to the Black H’mong village of Lao Chai and spend time learning about the life of people belonging to an ethnic minority. We can enjoy our picnic lunch in Lao Chai or at an appropriate spot. After lunch, we walk through rice terraces and on local paths to the Dzay village of Ta Van. This is the only village in the Sa Pa area where the Dzay people live. You can learn about the life of people while enjoying its pristine natural beauty. We then travel to the meeting point where our driver is waiting to drive us back to Sapa. 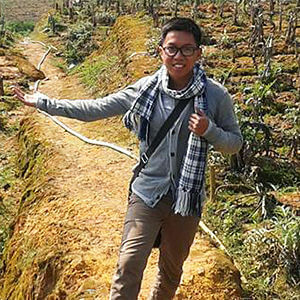 The markets in Northern Vietnam are the spotlight of any Sapa tours. Minority people come down from the mountains to sell their products, or just for catching up on the latest news and socializing. In the morning, you will be driven to one of the following markets, depending on the day of your visit. In the afternoon, you drive back to Hanoi. This morning, we come to Ninh Binh province to admire the beauty of its famous attractions – Hoa Lu and Tam Coc. 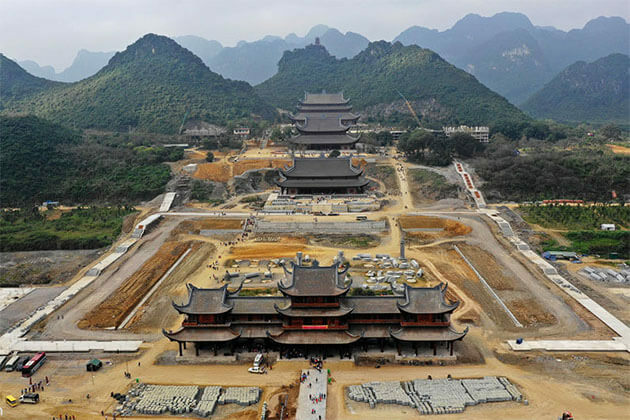 Hoa Lu is the ancient royal capital of Dinh Dynasty and pre-Le Dynasty. The relic is a highlight when coming to Ninh Binh as you get to admire its ancient beauty and relive its once glorious past. In comparison with Hoa Lu, Tam Coc is considered Ha Long Bay on land because of its pristine natural beauty and charm. Sitting on a boat as it steers through the emerald water of Tam Coc, you can enjoy the scenic beauty of huge rocks lining the riverbanks and scattered green rice fields, all combined to form a poetic painting of the countryside. Overnight in Tam Coc. A trip to Halong Bay is a must when visiting Vietnam. A 3-hour drive through the Red River Delta offers many photo opportunities if you want to capture Vietnamese farmers tilling the vast green paddy fields. Along the way, we stop by a workshop with fine handicraft and all kinds of gems mined in Vietnam such as star rubies or sapphires… The World Heritage Site of Ha Long Bay awaits to offer a splendid view of 3000 mountain islands and islets towering in the Gulf of Tonkin in the East Vietnam Sea. Upon arrival, you’ll be welcomed with wine and fresh local seafood on our luxury boats before having the cruise of your life. As our the boat gliding further into the tranquility of Ha Long Bay amid the towering mountain cliffs and on the emerald green water, you have the time to relax your mind and body while savoring the tastes of fine wine and the freshness of the seafood. During the cruise, we’ll stop by the amazing Sung Sot cave and the Ti Top white sand beach before anchoring for the night. 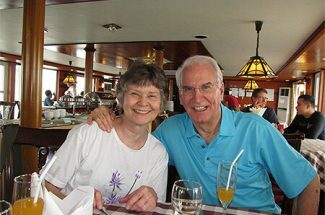 Overnight on board, amid the immense natural landscape of Halong Bay. After breakfast, we’ll take a little sampan to visit a secret lagoon as sunlight flickers behind the towering mountains of Halong Bay. You then cruise further to Bai Tu Long Bay, passing the Human Head Island, the Turtle Island, and the Duck Islet to the studio site where the famous Indochine film was shot. Around noon, we’re back at the harbor and drive to Hanoi. We’ll stop at Hai Duong to visit the famous Con Son pagoda – a perfect place to explore Vietnam’s history, culture, and religion. Later, transfer back to Hanoi airport for your afternoon flight to Danang. After doing check-in, the time is all yours to relax in the poetic town of Hoi An. Our Farming & Fishing Life Tour helps you engage in interesting activities and get a closer look at the local farming and fishing communities. Accompanied by our guide, the day starts as you leisurely cycle along country roads, witnessing local Vietnamese rural life and discovering all manner of photo opportunities. 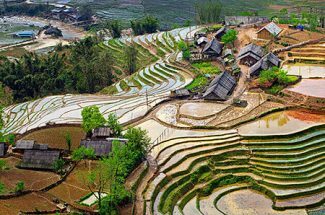 You also get to visit a beautiful organic vegetable village to tend plants and soil with local farmers, ride a water buffalo in a rice paddy field, and watch as ducks swimming along the rice farm or farmers tending their crops. The photo opportunities are endless, and you get to know the daily life of Vietnamese farmers. You then cruise to the mouth of the river where it meets the Cua Dai Sea to learn and try local fishing techniques using round and cast nets. You also have a chance to paddle the strange and unique Vietnamese bamboo basket boats. Learn about the country’s history as we take you to the tranquil coconut-palm flanked waterways where the tragic war took place and hear of the extreme conditions endured by soldiers on both sides. The ancient town of Hoi An is the highlight of any tour to Vietnam. The timeworn streets are exceptionally well-preserved and typical of an old South-East Asian trading port dating from the 15th to the 19th century. Its buildings reflect the influences of foreign architecture, all combined to produce this unique heritage site. You are free to discover Hoi An and its vicinity, shop for souvenirs among the antique shops and art galleries, or simply relax in a cafe and enjoy the atmosphere of this quaint town. After breakfast, we transfer you to the airport for your flight to Ho Chi Minh City. Upon arrival at Tan Son Nhat airport, our guide and driver will transfer you to your hotel for check-in. Ho Chi Minh City (or Saigon) is the most bustling city in Vietnam. Its lively streets, complicated history, and rich culture make it one of the most delightful cities to visit in Vietnam. After check-in, the time is yours to relax. Today, our guide and driver will take you to the countryside to visit Cu Chi Tunnels. This massive subterranean labyrinth is a reminder of a war fought underground. Before entering the tunnels you’ll see a short introductory video about their construction, and spend the next hour exploring these well-preserved passages. You can also find numerous displays of mantraps, the remains of an American tank, and bomb craters, etc. You are back to Ho Chi Minh City in the early afternoon. The epic city tour begins with a visit to Notre Dame Cathedral and the Old Post Office to get a look at classical French colonial architecture. You are then taken to the Reunification Palace, one of the most iconic buildings in the city. The place has now been turned into a museum where you can learn about the war and Vietnamese history. Our next stop is the War Remnants Museum, which features poignant displays of the futility of war. The courtyard outside contains the spoils of war such as rusting jets, tanks, and cannons captured from the American military machine. After gaining first-hand experience of what the war was like, we take you to the vibrant Ben Thanh Market for a chance to socialize with local people and learn about Ho Chi Minh City’s ways of life. 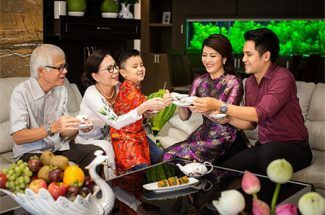 The market has a wide selection of merchandise ranging from necessities to traditional goodness such as “ao dai” – the famous and elegant clothes of Vietnamese women. The city tour ends around late afternoon and we will transfer you back to the hotel so that you can relax and get ready for the following exciting days. Today, we explore the Mekong Delta – one of the fascinating riverine deltas in the world. The Mekong includes a vast network of rivers and waterways with thousands of ships plowing the rich water. We will take a boat trip to Cai Be floating market, visit villages and meet the people of the Mekong Delta. Continue your boat trip to An Binh Island for a delicious home-made meal in a local family before taking a bike trip in the afternoon. You then come to Can Tho – the heart of Mekong Delta in Vietnam. After check-in, the time is yours to relax. In the morning, we make the boat cruise to Cai Rang floating market, a true highlight of the Mekong Delta. Get ready to get lost in the beautiful scenery and the bustling life of local people living along the Mekong canals before roaming through the village to visit a rice husking mill and a rice noodles making the shop. Around noon, we will take you to Can Tho airport for the short flight to Phu Quoc. After arriving at the resort, you’ll spend the night in Phu Quoc Island. Phu Quoc is the star of any Vietnam tour. The mountainous and forest-covered island is a fascinating tropical getaway with long secluded beaches of which water sparkles in a thousand shades of turquoise. Phu Quoc island is undeniably the paradise for beach lovers and a great place to enjoy your amazing Indochina vacation. After breakfast, you have the whole day to relax and enjoy the beautiful island of Phu Quoc as you wish. Overnight in Phu Quoc. You have the time to relax and relive the splendor of your epic Indochina tour until we transfer you to the airport for your flight to Ho Chi Minh and prepare for your trip back home.